After building her first of three homes in 1994, Lori was hooked on real estate and has been helping people sell, build, or buy their dream home ever since! You will find Lori's almost 20 years of experience and expertise in new construction, land development, and buying/selling of fine homes invaluable. Her genuine passion and enthusiasm for helping you through the process is contagious! Lori is Relocation Certified, and enjoys the challenge of finding the perfect community and home for those buyers unfamiliar with our area. 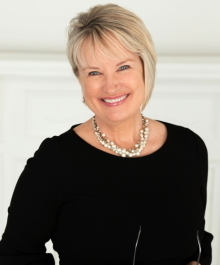 She was also most fortunate to earn Agent of the Year in 2010-2011, and was awarded Top Real Estate Agent in Milwaukee by Milwaukee Magazine, 2012-2013. A graduate of the University of Wisconsin - La Crosse, Lori lives with her husband in the Lake Country Area. Her daughter, Molly, just joined Lori at First Weber. They are known as "The Fritz Team". Her sons, Chad and Kyle, both attend the University of Minnesota. She welcomes the opportunity to help you with your real estate needs, and is never too busy for your referrals!